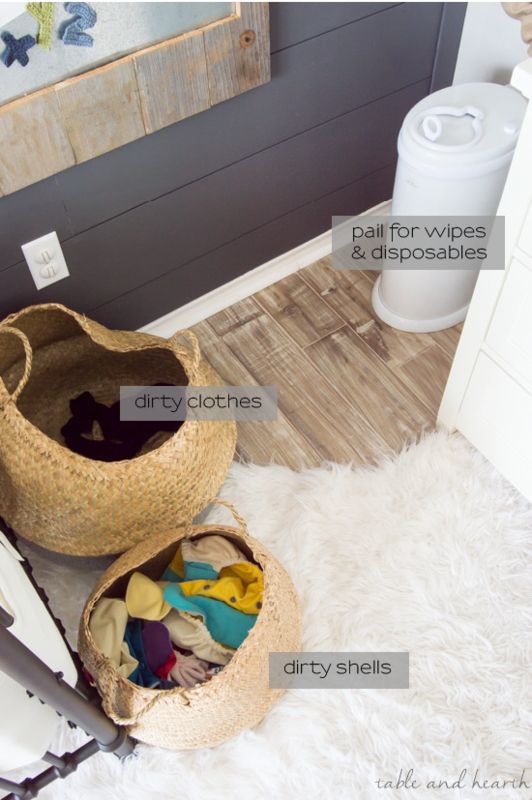 I know most of you guys are here for DIY and decor and all that fun stuff, but today I’m going to deviate just a little from that to go through something I get asked about pretty frequently… how we handle cloth diapering. So if that’s not really your jam right now, no worries, just hang tight and stay tuned for July’s First Week Favorites next week (because, you know, holiday) and an update soon on one of our landscaping projects that’s been wayyyy overdue. I had been planning to cloth diaper way before I was even pregnant with Connor. 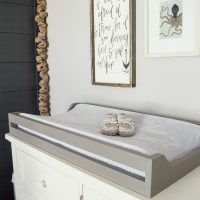 I didn’t know much about how they worked exactly or what was really involved in all of it, but that didn’t matter, I just knew that it was for us and that it would be something I was willing to learn and work towards in order to be more eco-friendly and have a smaller footprint through the stuff-intense baby phase. 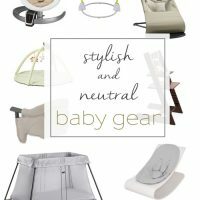 When it came time to do our registry I started researching styles and brands to find what would work best for us. Friends recommended various brands but almost everyone told me to avoid pockets so that ruled out quite a few. 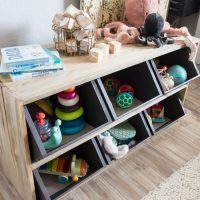 We needed something that was quick and easy to manage since we’d be sending them to daycare with him and we needed something that kept washing and prepping as quick as possible since that would have to be done after work most of the time. After tons of research I decided that GroVia was the brand for us and jumped all in. My sweet blog friends actually went in on a gift card which I used on one of the starter sets and have never looked back. 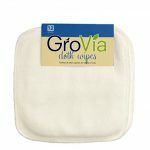 I’ve never tried any other brand and have been 100% happy with GroVia, honestly becoming a bit obsessed which I have found is pretty common with cloth diapering. I’ll spare all the details of their various designs here and will just focus on our system and organization today, but if you’re curious they have a ton of resources on their website about cloth diapering in general as well as all their designs, plus I’m ALWAYS happy to chat more in the comments or email if you have questions. This post isn’t sponsored at all, we just absolutely love and support this brand! 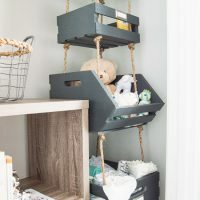 As adorable as they are, I still wanted the diapering things to be as concealed as possible in the nursery. 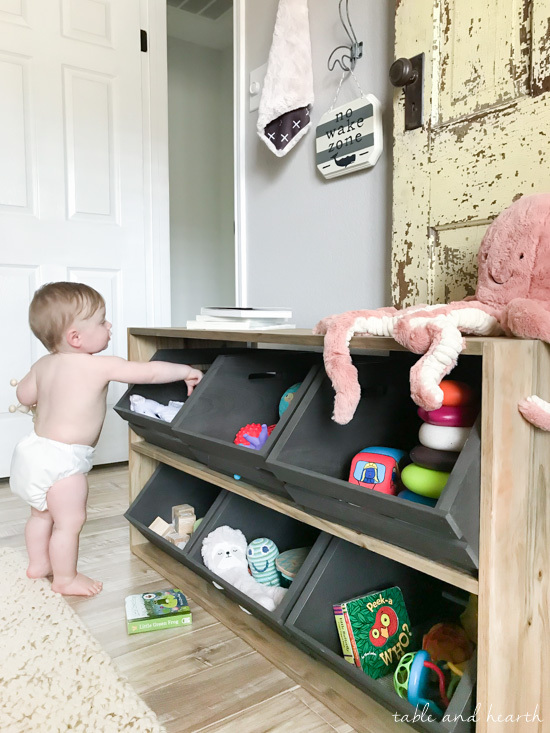 This dresser has been a perfect changing station, holding all of the diapering supplies as well as his clothes, and everything we need during a change is around it and in the guest bathroom. So, we’ll start in the nursery and I’ll go through this in order of a usual diaper change. 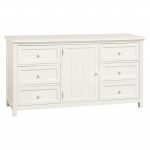 The left three drawers located under the changing pad house all of our in-use cloth diapers and accessories. 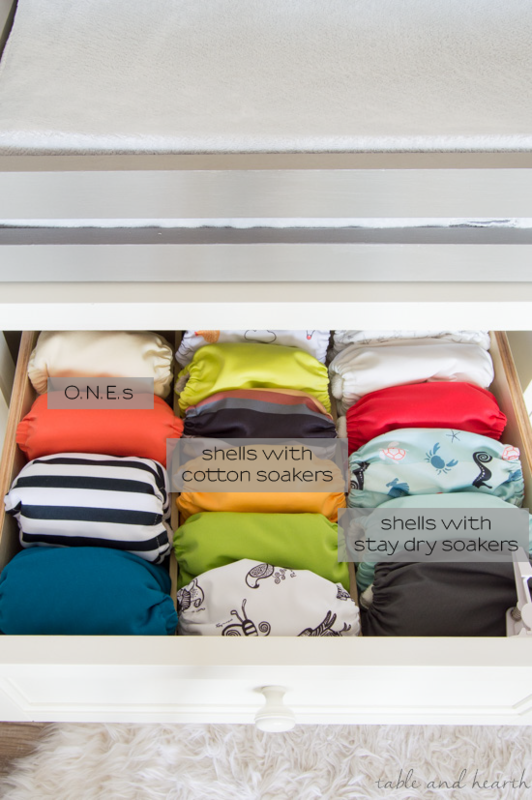 The top drawer has diapers all assembled and ready to go. 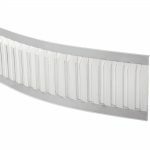 The GroVia hybrid system that we use consists of a waterproof shell that holds snap-in inserts (“soakers”) of various absorbencies. 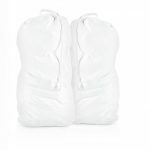 We have shells stuffed with Stay Dry soakers and shells stuffed with Organic Cotton soakers. 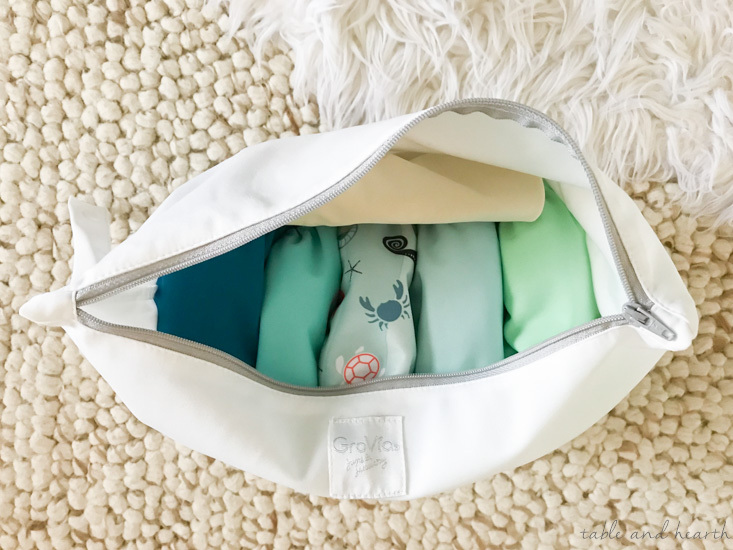 We use the stay dry much more often as they hold more wetness and they’re much easier to spray poo off of, but the organic cottons are slimmer so I’ll use those for certain outfits or shorter time periods. Also in this drawer we have assembled ONEs which we use for overnight. These are also a shell-plus-insert design but have much more absorbency so they last the full 12 hours or so at night. 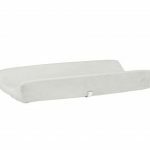 To make sure all the diapers have even wear and use we do the pull-from-the-front-stock-in-the-back method for everything. The second drawer contains all the extra inserts. Shells can be reused if it’s just a light pee change so I can just grab one of these loose soakers and snap it in. 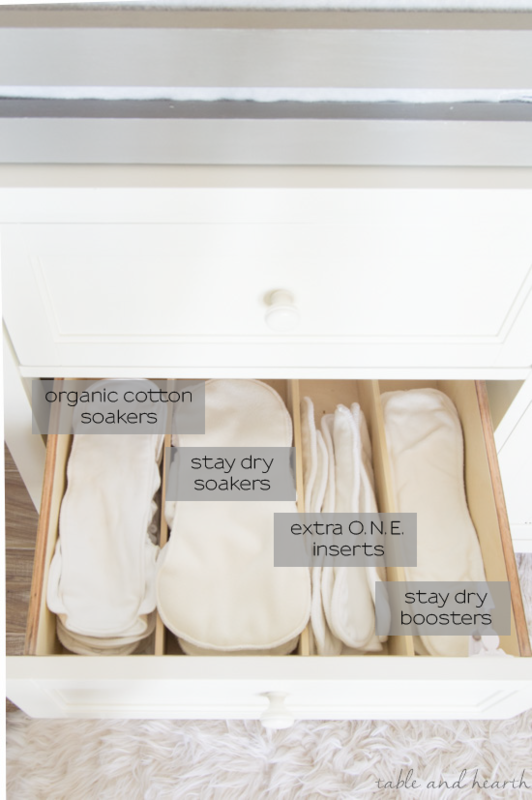 The extra ONE inserts and boosters can be used in any of the GroVia systems but we mainly use them in the ONE overnight diapers to give extra absorption as we need it. 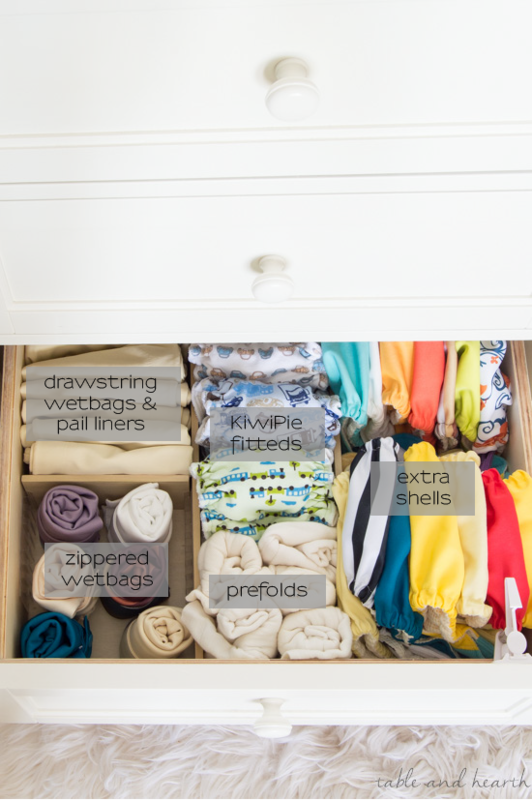 The bottom drawer holds various wetbags, other overnight options, and the extra shells. The KiwiPies are a line of fitted diapers related to GroVia which are also a great overnight option when used in conjunction with a waterproof or wool shell (they are only sold in special batches on GroVia’s sister company, The Natural Baby Co., so follow them for updates). 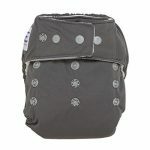 I use the zippered wetbags for on the go and also when we travel to pack his things in, and then use the drawstring wetbags when I need to hold more than a few diapers. 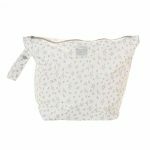 In my opinion you can never have too many wetbags, for diapers or not, it’s probably my #1 recommended item for new parents and I use them for ever.y.thing. On top of the dresser is where all the various creams, lotions, and toiletries live. I also have a small metal can for dirty wipes because I’m right handed and it’s easier to put them there than reach over the kiddo and to the pail over on the left side. When we’re all done then the dirty wipes go in the actual diaper pail. There’s also a jar that holds the velcro strips used on the ONE overnight diapers, because I’d lose them if they weren’t right there. We use GroVia’s Magic Stick diaper balm and he rarely ever gets rashes. I like that you don’t have to use your fingers to apply it, it smells amaaaazing, and they even have little tiny ones for on the go. 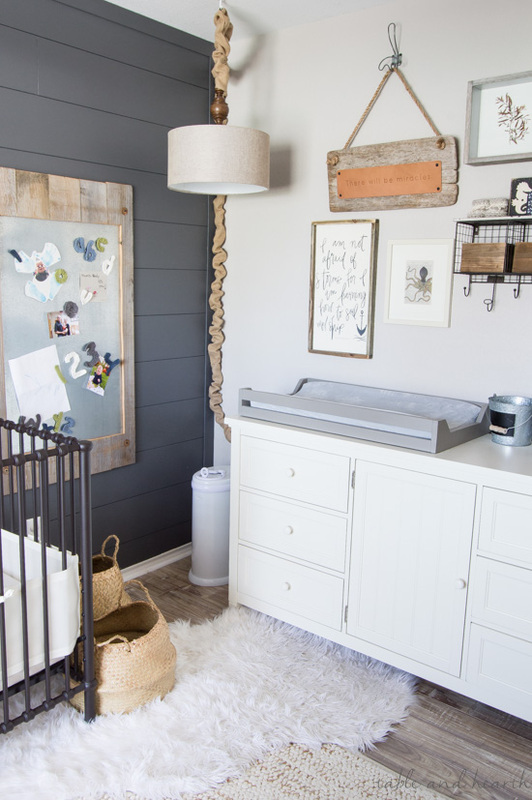 To the left of the dresser lives the nursery diaper pail and a couple baskets. One basket holds his dirty clothes and the other holds the dirty diaper shells. 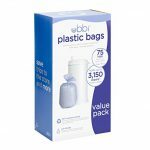 We have two Ubbi diaper pails; the one in here with a plastic liner that holds wipes and any disposables we use, then one in the bathroom with a cloth liner that holds the diaper soakers and ONE overnight diapers. I wash our shells separately from the inserts to keep their velcro and elastics from getting worn out faster. In the center cabinet of the dresser I keep some of the more general diapering items and our travel diapering supplies. 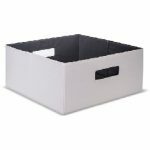 Changing pad covers, diaper pail bags, and wipes are kept in here. We do use disposables here and there; when he has a rash that needs an ointment that’s not cloth-friendly and when we travel when cloth is just too much for me to manage. We use Honest brand disposables and have been very happy with them. If we do cloth while we travel we use GroVia’s Biosoaker inserts for the shells. These are disposable but they are all natural and biodegradable so still eco-friendly and all I have to store and clean after changes while we travel are the shells. GroVia does make cloth wipes meant for diapering but here we use them as basic wash cloths, rags, and even as extra absorbency in the diapers sometimes…pretty much for everything. Once are done with a diaper change, the shell goes in the dirty shell basket in the nursery (unless it needs sprayed too) and the insert is brought to the guest bathroom where we have the sprayer and the other diaper pail. 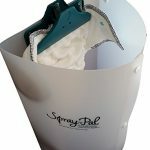 Anything with poo gets sprayed using the SprayPal shield and sprayer, then is wrung out and placed in the pail. When I started out I scoffed at needing the shield, then I sprayed my first poo diaper and it went everywhere so trust me, get a shield, no questions, just get one. 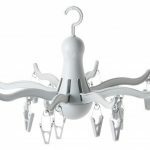 Everyone thinks this is the grossest part of cloth diapering, and while it may be, it really isn’t as big of a deal as I anticipated. Us parents have to handle all kinds of gross stuff so I feel spending one more minute around it isn’t that much of a difference. I definitely feel like it’s worth the minute of spraying to be able to get rid of the stinkiness once and for all instead of having it sit in a pail to ferment for days. The disposable pail in the nursery is utterly toxic after not too long (thank God for the Ubbi) while the cloth dipe pail, even with it’s open top, isn’t even noticeable! Connor goes through about 5-6 diapers during the day plus his ONE for overnight so I do diaper laundry on Monday, Wednesday, and Friday evenings and wash shells about once a week. 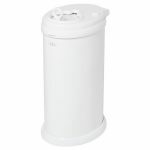 The dirty diaper pail stays open to allow airflow and honestly there is no smell at all unless you stick your nose down in it. We have a hefty collection of shells and inserts so there is a large rotation to reduce wear and I never have to worry about running out of anything. 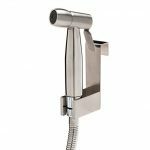 Wash routines vary so much based on machines, loads, and your local water so our wash routine wouldn’t work for everyone but I will say that it is MUCH easier and simpler than I ever thought it would be. A quick wash, then a heavy duty wash, extra rinse, then drying on low is all ours need. I hang the shells and wetbags to air dry overnight and it has really reduced wear and tear on them. 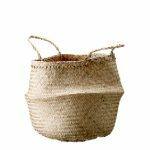 GroVia has good articles and advice about laundry on their website too. 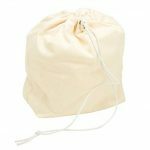 For daycare each day I send 5 stuffed shells (3 with stay dry and 2 with organic cotton) and a folded drawstring wetbag all zipped up in one of the zippered wetbags. Usually I do some color combination each day to keep it fun :) His teachers put the dirty diapers in the drawstring bag and leave any clean diapers in the zippered bag. I spray the dirties out when we get home in the evening. 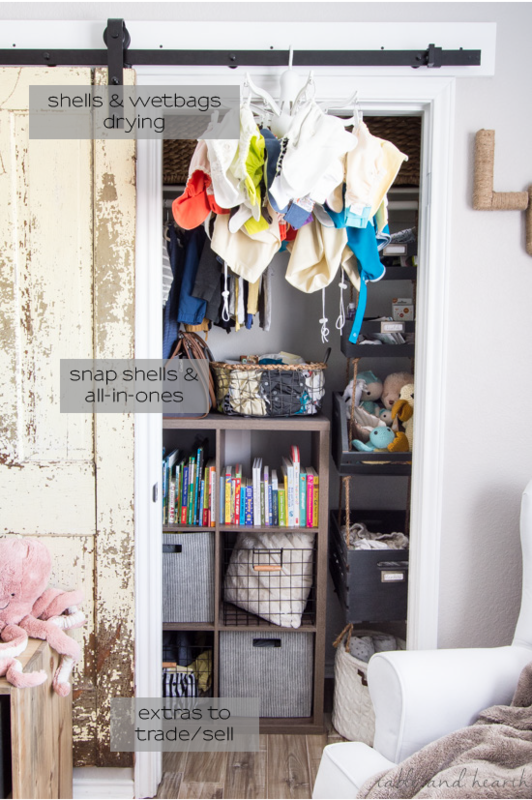 Like I mentioned before, it’s easy to get a little obsessed with cloth diapering and start curating a collection of all the prints and colors so I’ve got quite an excess of shells to work with. We currently use the hook and loop shells but if he were allowed to run around in just a diaper he can definitely take them off now, so I have a stash of snap shells too in case we have to switch over to them also. We also use GroVia’s swim diapers and love them. He recently “tested” their ability to hold solids in and let me tell you, that diaper definitely held in a disaster. As we’ve tested various styles and colors in our journey I also have diapers stashed to sell and trade. One of the huge perks of cloth diapering is resale value. Yes, you can very much buy, sell, and trade used diapers and there’s actually a huge market for them. Much of my collection was purchased or traded used and was in almost new condition. Some of the limited edition prints and colors in certain styles are highly sought after and will fetch hundreds of dollars, not even joking. It’s nice to know that when we are out of diapers I’ll be able to pass these on to a family who can use them for many more years. 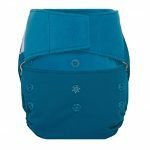 So, that’s 2000 words more than you ever wondered about our cloth diapering system I’m sure but if it can help anyone streamline theirs, or inspire you to start cloth diapering yourself, than I’m happy! 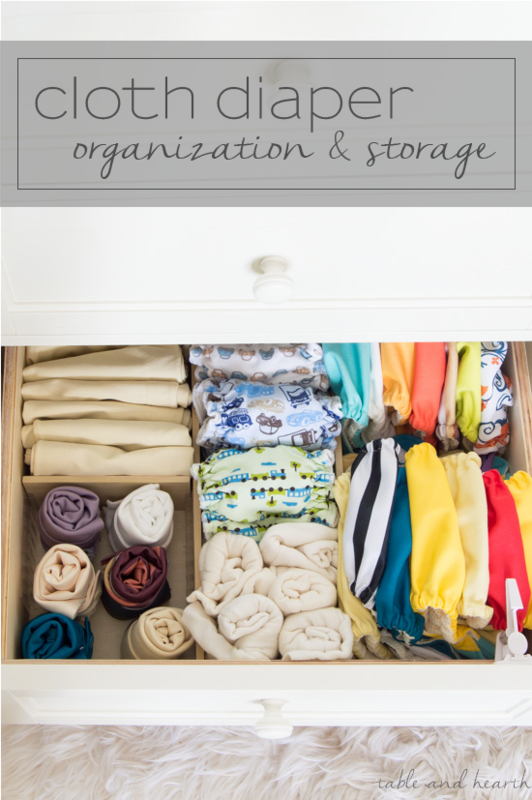 The benefits of cloth diapering are almost endless and I can’t imagine us not using them. 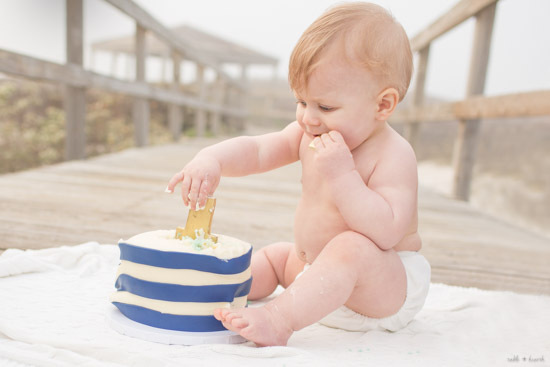 Yes there is a high initial cost but after that you’re good to go for however many YEARS you’ll be diapering. We never have to rush out to buy diapers, never have that recurring cost to buy diapers (other than to collect, ha! ), have adorable prints and colors to style him in, and don’t have to worry that we are contributing to landfills. 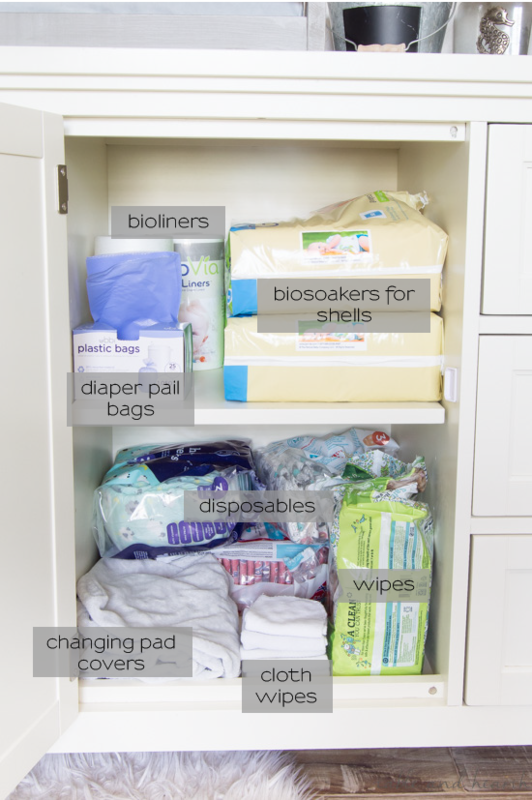 Have any of you tried cloth diapering? Any great tips or tricks that have helped you? This was fun to read! I’m interested in your pail in the bathroom. We just use a laundry hamper lined with a pail liner but I’ve wondered if there was a better way. 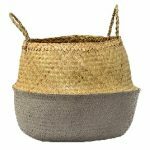 How is the pail you use different/better? It’s probably been at least 32 years since my last diaper. Boy have they come a long way! 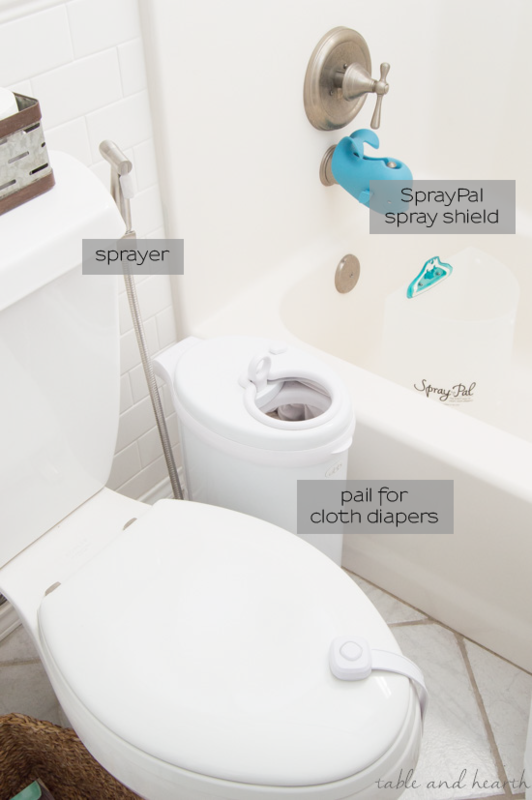 We used cloth, not many choices, but I had found a liner that caught the poo and all you had to do was let “the collection” drop in the toilet then throw the diaper and liner in the pail then wash. The liners looked like woven “hand wipes . My two never had a diaper rash and it was much cheaper than bought! So the Grovia brand that we use also has liners like that! I haven’t used them yet since we aren’t consistently “droppable” here but I do have a couple rolls on hand for when we are ;) I absolutely LOVE not having to go out and buy diapers and he rarely has a diaper rash too!